Locals of Húsavík, a town in North Iceland have been enjoying the sight of a pair of exotic visitors. 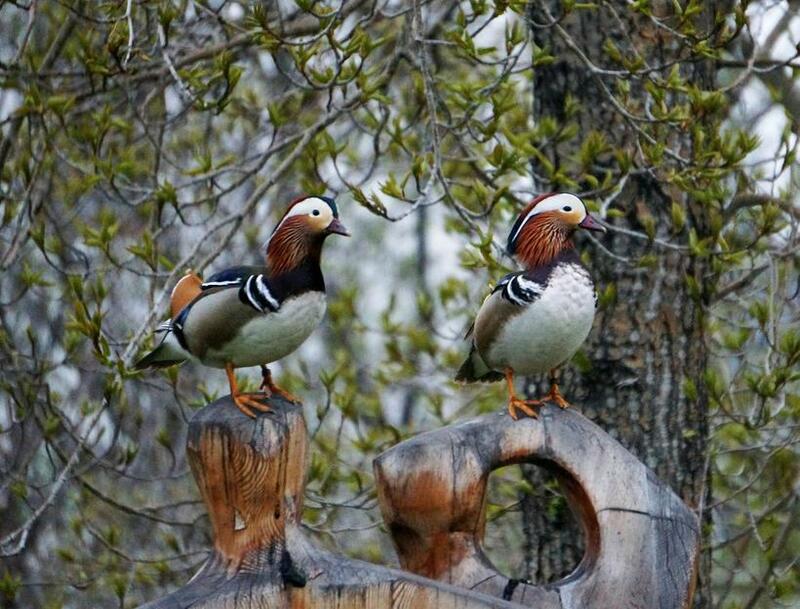 Two male mandarin ducks have decided to move in to the town's botanical park. Mandarin ducks originate in East Asia but they are also a popular bird to put in European parks because of their beautiful looks. It seems that these ducks have somehow found their way to Iceland and found a fitting home.